Tourist Information Centre Walk 23 at Great Yarmouth Sports Walk01493 846346work Walking RouteAn interesting walk which covers past and present recreational opportunities in Great Yarmouth along with some of its heritage and wildlife sites. 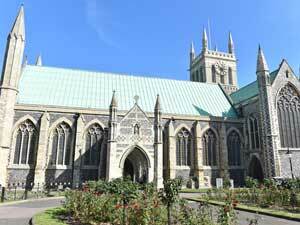 This 3.9 mile circular walk starts at Great Yarmouth Minster and then follows out and around the edge of the town centre. Why not treat yourself to afternoon tea at the Imperial Hotel on the route along North Drive and enjoy the view over the dunes from the Terrace. Public facilities can be found at The Conge. An interesting walk which covers past and present recreational opportunities in Great Yarmouth along with some of its heritage and wildlife sites. 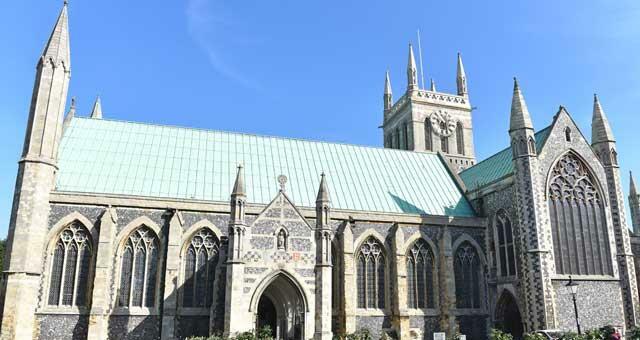 This 3.9 mile circular walk starts at Great Yarmouth Minster and then follows out and around the edge of the town centre.